Of course, if you prefer to have the full desktop experience you can still install Exchange 2019 on a server with a GUI. Back in September Microsoft added support for 192 GB of RAM for Exchange 2016 servers. With Exchange 2019 they have taken this one step further. With Exchange 2019 you can now have up to 256 GB of RAM per server. In addition, the previous limitation of 24 processor cores has doubled to 48. As always, use the latest Exchange Server Role Requirements Calculator to determine your needs. Remember that a design with a greater number of servers that possess fewer resources may be more highly available than a design with a smaller number of servers that possess more resources. To reiterate the preferred architecture mantra; scale out, not up. Previous messaging from the Exchange Team had always indicated that solid state drives (“SSD”) were overkill for Exchange. This was due to Exchange databases only needing an average of 10 IOPS. With Exchange 2016 this also allowed for multiple databases per volume because direct attached SATA often averaged 70 IOPS. Boris Lokhvitsky and Robert Gillies discuss these facts in greater detail during their Ignite session from September. You can find the specific guidance around IOPS at the 24-minute mark. 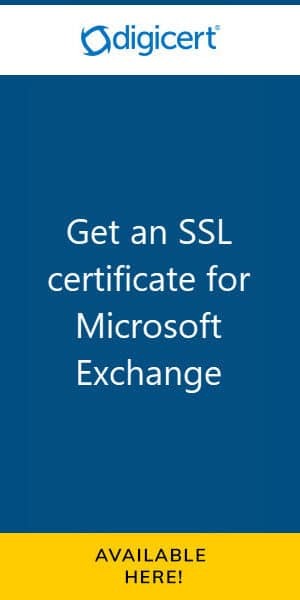 With Exchange 2019 Microsoft has taken this one step further. While traditional spindles will continue to host a database in its entirety a small portion of that database will be cached to the lower-latency solid-state disk. This cache will contain metadata such as search indexes and message headers. The purpose of this cache is to provide quicker searches, faster message retrieval and, quicker logins for the user. The use of solid-state drives and the metacache is completely optional. Exchange 2019 can operate purely on spindle storage. In fact, 90% of your mailbox data–message bodies and attachments–will still be served directly from the traditional spindles. Last year at Ignite Microsoft discussed how they were using the power of Bing, codenamed BigFunnel, to improve search in Office 365. It’s no surprise that this technology will be coming on-prem to Exchange 2019. Microsoft states that the Bing technology will make searches faster and more accurate. With Exchange 2016 Cumulative Update 3 search indexes were re-engineered to read from their local database copies. In prior versions, search indexes would reach across the network to read from the active database copy. With Exchange 2019, search indexes have now been ingested into the main database (EDB) file. Searches indexes are replicated between databases using standard log shipping. Let’s hope this eliminates those pesky unhealthy search indexes. The Unified Messaging role has been removed in Exchange 2019. This means that Skype for Business or any third-party PBX systems can no longer leverage Exchange for voicemail or unified messaging. The current guidance is that if you have Skype for Business, you need to upgrade to Skype for Business 2019 and leverage Cloud Voicemail. Voicemail is part of Office 365 E5 licensing. It is also available as an add-on to lower Office 365 tiers as the Phone System SKU. If you have an older version of Skype for Business you can either keep Exchange 2016 in your environment or leverage a third-party voicemail solution such as those provided by AVST. If you take the Exchange 2016 route, all UM-enabled mailboxes will need to stay on an Exchange 2016 server. Any mailboxes that are not UM-enabled can be moved to Exchange 2019. Third-party PBX systems will have to implement a third-party voicemail system. Many third-party PBXs such as Avaya and Cisco, have their own voicemail or unified messaging solution. For a great write-up on the different options available to you, check this article by MVP Jeff Guillet. Below is a screenshot of the Exchange Admin Center from Exchange 2019 in a greenfield installation. You will notice the absence of the Unified Messaging tab after Public Folders. In an environment where Exchange 2019 coexists with previous versions of Exchange this tab is still visible. When Microsoft released Exchange 2013, coexistence was dropped for Exchange 2003 and Outlook 2003. Similarly, when Microsoft released Exchange 2016 coexistence was dropped for Exchange 2007 and Outlook 2007. While there is no official word from the Microsoft on the Exchange 2019 requirements we can speculate that coexistence will be dropped for Exchange 2010 and Outlook 2010. This would follow Microsoft’s trend of supporting coexistence for N-2. If this does prove to be true you will need to perform a step migration from Exchange 2010 to either Exchange 2013 or 2016 first. From there you can migrate to Exchange 2019. In addition, any Outlook 2010 client would also need to be upgraded. Remember that Exchange 2010 leaves extended support January 10th, 2020. That’s less than 1.5 years of support. Microsoft further announced enhancements to calendaring. 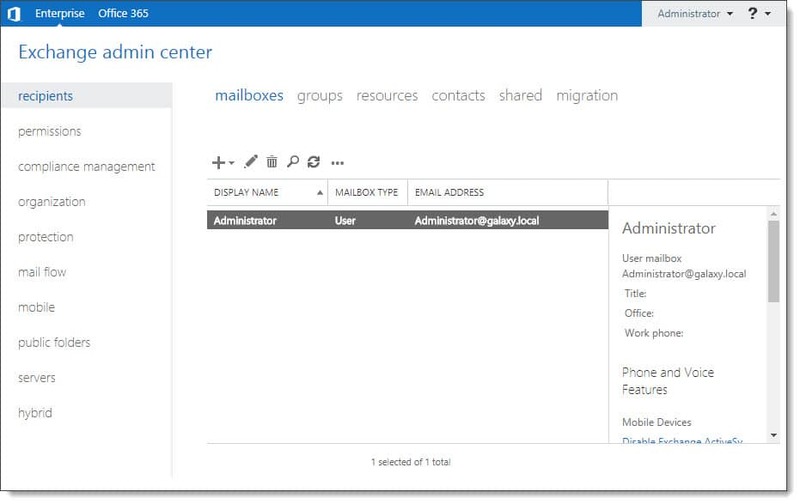 Office 365 calendar features such as ‘Do Not Forward’ and simplified sharing will all be coming to Exchange on-prem. In addition, on-prem will gain the PowerShell cmdlet: Remove-CalendarEvents. This cmdlet allows an administrator to remove all future occurrences of a meeting request from all attendees, including resource mailboxes. This is particularly useful when a meeting has been orphaned after the account of the meeting organizer has been deleted. Edge Transport will also be available for Exchange 2019. Although no new features have been announced for this role. Microsoft stated that a lot more would be announced at Ignite in September. For a quick refresher on all the announcements from last Ignite, I recommend checking out my post, 15 Microsoft Ignite sessions every Exchange admin should see. I have included notes for each session and the time each topic starts, so you can quickly skip to the content that interests you most. So what do you think of the new and deprecated features in Exchange 2019? What else would you like to see added or removed? Drop a comment below or join the conversation on Twitter @SuperTekBoy. What is the difference between Core and Server 1803? Hi – Thanks for sharing EX2019 news. Since there are no mention about in place upgrade – is it still possible to upgrade EX2016 CU10 to EX2019 Preview? 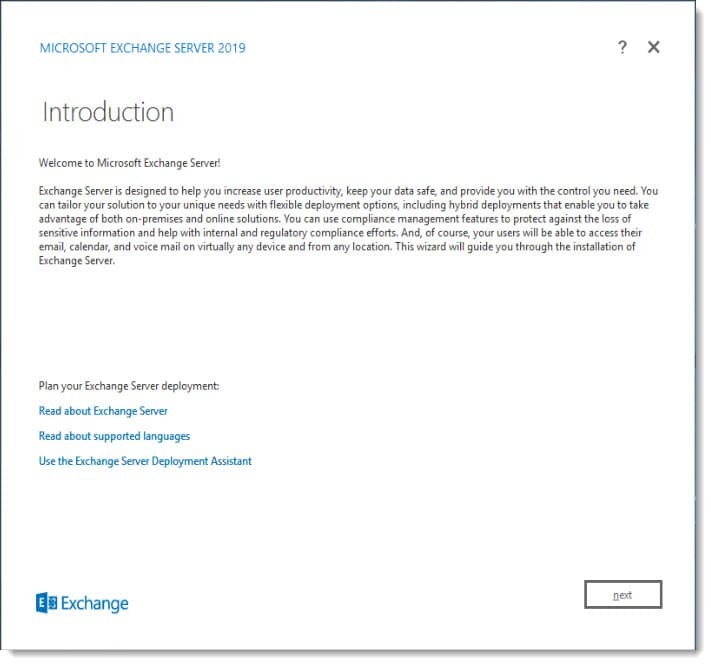 You will need to deploy new hardware (or a new virtual machine) and install Exchange 2019 on it. There are no in place upgrades for Exchange.